← June is Audiobook Month or EXCITING STUFF COMING SOON! The Elite by Kiera Cass, it’s AMY day and as if that isn’t ENOUGH, A GIVEAWAY!! It’s HERE! It’s FINALLY HERE! 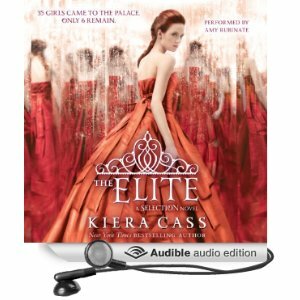 My review of The Elite, by Kiera Cass (both the print version and the audio version) but ALSO, today is the posting of my FIRST EVER audioblog INTERVIEW with audiobook narrator Amy Rubinate! It has to be said, hearing my recorded voice? ACK and BLERG! The second in The Selection Series, The Elite catches up to America, the heroine of the first book, The Selection, after she has made the cut, in a futuristic post World War 5 world, from 35 girls competing for the heart of the reigning royal Prince Maxon, to just 6 girls and it seems to me that America is the favorite for sure! The question is, does America WANT to be the princess? She is funny and sarcastic and smart, but I don’t think she really WANTS the responsibilities that will come with being a royal in a new world caste society that is just filled with angry violent rebels and one, once low caste, now palace guard, old boyfriend (Aspen), who really wants her back. She is SO CONFLICTED! She’s afraid of making the wrong decisions and of following a path that won’t lead to her own happily ever after. Kiera Cass’s writing is colorful and full of exciting plot twists and turns. 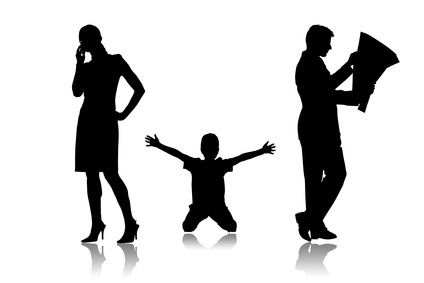 She leaves little hints along the way as to what might happen next (Amy… she told me to call her AMY… EEEEEEEE!… called them “breadcrumbs”) and I loved that all of these small peculiar moments relate back to the story in BIG ways. What I DON’T like is the CONSTANT back and forth with the decision about poor MAXON! It was a little confusing. I get that this MAY be the point. That AMERICA, herself, is confused, but she kept ABSOLUTELY deciding and I’d think… pshewwww. And THEN, two or three or 20 pages later, she was back on the fence again! Despite that, The Elite is SO a book for the keeper shelf! Amy Rubinate’s voice was PERFECT for the role of America and she is really great for all of the other characters too. You could clearly tell who was speaking at what time and the emotions portrayed by her almost made Americas back and forth with Maxon understandable! I COULD NOT take my earbuds OUT!!! I listened to it all at once, alternating from my bean bag chair to outside and even to the couch in the dark of the night! It goes without saying, then, that I could not WAIT to talk to Amy (SKWEEEEE!) about The Elite! Have a listen! But, okay, I don’t think I really sound like that. Amy totally does though! So, now that you’ve met Amy, I KNOW that you will want to have your very own copy of the audiobook of The Elite! Haper Audio and Random House Audio have generously donated copies of the audiobooks (and a great big box of other library goodies to SGASDs libraries), and in honor of June is Audiobook month, if YOU leave a comment on this post, you could win an MP3 download of Amy Rubinate reading Kiera Cass’s The Elite from Audible.com! There are some minor kissing scenes and some more intense stuff, but nothing in the kind of graphic detail that would permantently scar any bus riding child age 11-12 and up. In addition, there are some shooting scenes where people are killed, so as they say on the TV, VIEWER DISCRETION IS ADVISED. I would say age 12 and up. I had so much fun chatting with you about audiobooks we love! Thanks for including me, and thanks for the great work you’re doing to help libraries! What a wonderful interview and a wonderful mission! Good luck with everything!! I so enjoyed your interview with Amy! Thanks for the good work you are doing to support libraries. Libraries have always been a place of solace and inspiration for me as well. I’m proud to have spent the past 27 or so years as a children’s librarian.